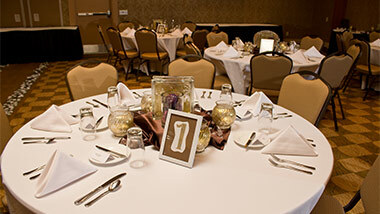 Hollywood Casino Hotel & Raceway is sure to make your next function a blockbuster hit. 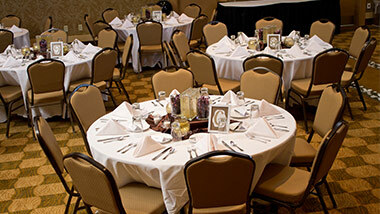 Whether a corporate event for 200 or your own private celebration, old world Hollywood glamour and modern meeting space come together to create a truly unique venue at Hollywood Casino Hotel meeting facilities. We offer meeting spaces that can accommodate any need, with audio visual hookups, banquet and catering options, and spaces that can transform from classroom style seating, to an open spaced reception and stage for entertainment. Hollywood Casino welcomes bus groups! Get your group together for a phenomenal experience at Hollywood and receive special group perks and incentives. Bus Groups of 15 or more - Each guest will receive one $10 Free SlotPlay voucher. 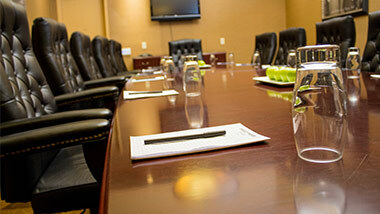 The group leader will also receive a $15 dining credit to use at Hops House 99 or Epic Buffet. The Lancaster Room can serve as a full conference room (2300 sq.feet) or can be cordoned partitioned in half for a more intimate setting. For smaller groups, the Chairman’s Boardroom (432 sq.ft) is fully equipped for all of with a conference table, comfortable seating, and audio visual hookups to meet all your business needs. Spice up your casino experience! Marquee Rewards members earn extra ways to win with our great casino promotions each month.